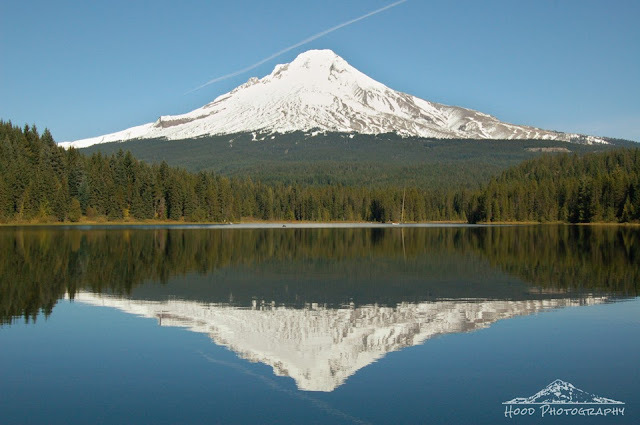 I visited Trillium Lake for the last time in 2013 this past Sunday. The road will be closed for winter and will not reopen again until late May or early June. It was a crystal clear day, except for the airplane contrail that drifted close to Mt Hood. Very shortly after I snapped this photo, the winds picked up and the mirror in the water went away. Nice capture. Marvelous reflection! Thanks for sharing. Looks so still and serene. Perfect reflection. A lovely photo and the sky is just beautiful! That is a great reflection! magnificent mountain shot! great timing too! We do have a beautiful mountain in our world, don't we, Sarah!! And what a breathtaking capture!! Superb! Don't get one like this very often! Thanks for sharing!! Very beautiful view and photo! Sooo beautiful! This reflection is fantastic! What a lovely mirror image! absolutely wonderful reflection! Great capture of Mt. Hood! It doesn't get much better than this! Stunning. Wonderful two for the price of one photo. Amazing! What a picture! I love the Hood River area and that mountain! This is super stunning shot!